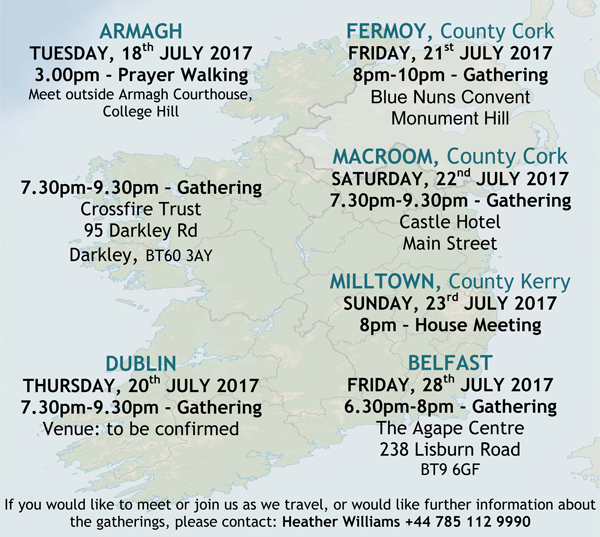 Members of the Maranatha Community will be travelling throughout Ireland from July 18th to 28th. The purpose of this pilgrimage is to listen to the Lord through the inspiration of His saints, both past and present. There will be gatherings in various places along the way (see below). Everyone is welcome to join the small team for a time of worship, fellowship and listening together. After gathering in Belfast our first stop will be Armagh, the ecclesiastical capital of Ireland. We will travel south for 2 days in the Dublin area, including a visit to the City and to Glendalough, an ancient monastic site set in the beautiful scenery of the Wicklow Mountains National Park. 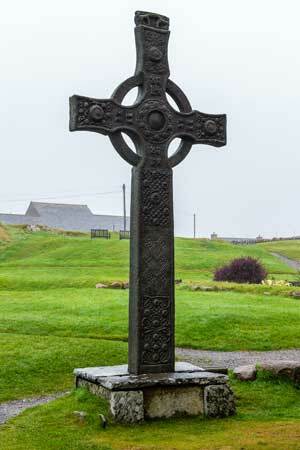 We then head for County Cork, taking in more sites of spiritual significance on the way. Hospitality will be provided for us in Fermoy for two nights by Maranatha members, with opportunity to discover local history, before we travel west to County Kerry and Limerick, where we will stay a further two nights. North then, through amazing scenery, to County Mayo for two days, with the opportunity to enjoy the beautiful city of Galway and more historic sites, before driving north of the border to finish our pilgrimage in Belfast on Friday 28th July. What is the Spirit saying to the Churches ?